Across the country, Autocross racing continues to grow each year. 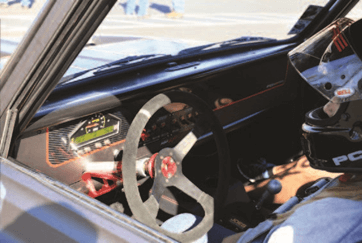 Venues such as Goodguys, nMcA, street Machine nationals and Hot August nights have incorporated autocross into their regular event schedules. 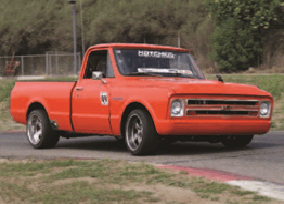 What was once a sport oﬀered by SCCA only has become a popular hobby for many truck enthusiasts. Let’s rewind back to 2010. 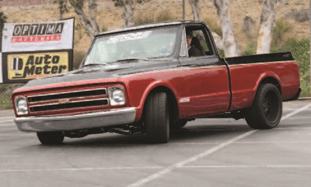 There were only a handful of trucks autocrossing at that time. Very few companies offered upgrades to help trucks handle better on the course. 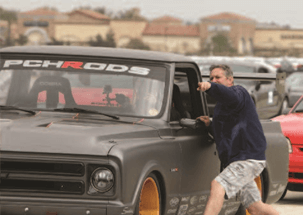 Nevertheless, Rob MacGregor, Mike Hickman, and Rob Phillips defied convention and raced trucks at local autocross events. Though parts were hard to come by and very few trucks participated, pioneers, like these three intrepid autocrossers, paved the way for future generations. 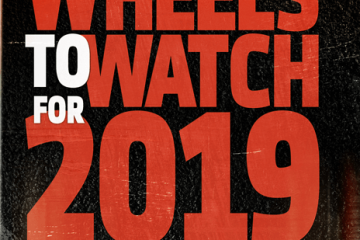 Fast forward to 2016, numerous companies offer upgrades like suspension, brakes and roll cages specifically for the truck market. Truck owners finally convinced companies they wanted in on the autocross hobby, too. 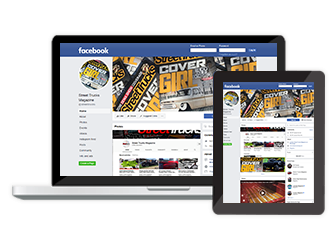 The ability to choose different upgrades from a variety of companies encouraged new autocross enthusiasts to join in on the fun. In turn, this has helped the truck class grow. Even so, the pits are often filled with spectators who want to join in, but something holds them back. Maybe it’s fear of looking bad and getting harassed by their friends, or maybe it’s concern that their truck isn’t good enough to compete. Whatever the reason, the following four elements will help anyone who’s interested in getting into autocross for the first time. Right from the start a driver needs confidence. First, you must have confidence in yourself, and then you must have confidence in your truck. It’s important to remember that everyone in the pits was once in your shoes. They all had to start somewhere. They made mistakes and have worked to improve throughout the years. Even an almost-bare truck can compete, as long as it’s got safety features. You also need to have confidence that you won’t push yourself beyond your limits. Whether you’re driving a stock ride or a purpose-built pro-touring truck, a driver is no better than his skills behind the wheel. If you have had some racing experience, then you will probably push yourself a little harder the first time out. If this is your first time on an autocross track, then you might want to take it a little easier the first couple of laps. Friends and spectators can often push a new autocross driver beyond their limits the first time. Remember, safety is a priority. Coming home with a pile of scrap metal is not the way anyone wants to end their first autocross experience. 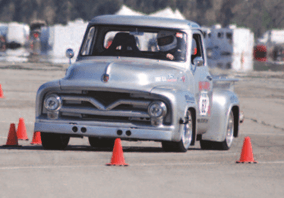 Autocross is a “race-and-learn” sport. 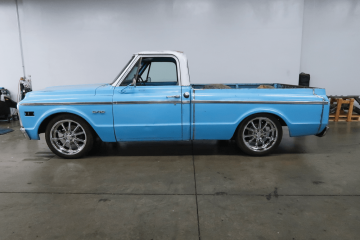 Though trucks built for racing typically include a roll cage, fire system and other safety features, these are not necessary for beginners. A good set of tires, working safety belts and a helmet are all you need to start out. Before competing in your first event, make a checklist: check fluid levels, tighten bolts and give your truck a once over to make sure everything is in proper working order. Doing this will also build your confidence in your truck because you’ll know that everything is working how it should be. As your skill and experience increase, upgrade your truck accordingly. 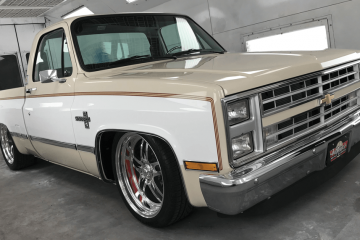 It can be very difficult not to make several changes to your truck after your first event, but a driver should only make one change at a time between race events or track days. Making one change at time will let you know what worked and what didn’t. 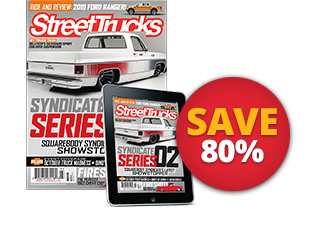 This method is suggested for big changes, though; making small changes like tire pressure, camber and caster adjustments or brake bias can be done all together between runs. Once you start making changes, some may work and some may not. You’ll have to take some time to determine how to fix the problem, which is why it’s important to practice patience. 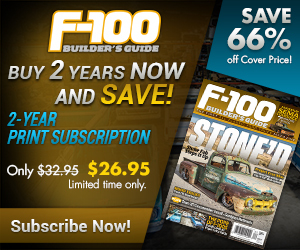 Rome wasn’t built in a day and your truck won’t be either. Even trucks built specifically for racing suffer initial setbacks; sorting a truck out while racing is all part of the autocross experience. Patience is also required of you as a driver. It’s important to remember that you will grow as an autocrosser over time. There are several things you can do to help speed up this process, though. Observing other drivers and going for ride-alongs are two great ways to help you become a better driver. You’ve built confidence and survived your first track day. You’re ready for the third element, persistence. Autocross can be overwhelming. Drivers have good days and bad, which is why having the persistence to gut through the tough times is key to becoming a successful autocrosser. Many of your fellow autocrossers have been competing for several years. 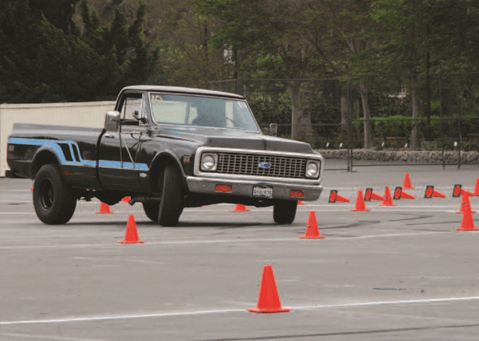 The more autocross events you attend in your truck, the better you’ll become. 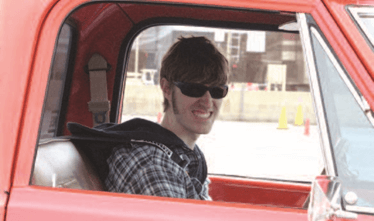 Second only to safety, seat time is what it takes to be become a great autocross driver. Not only will you get more practice, but you’ll also better understand how your truck handles during various maneuvers. Your persistence has paid off and now that you’ve been to several events it’s time to start making some upgrades. 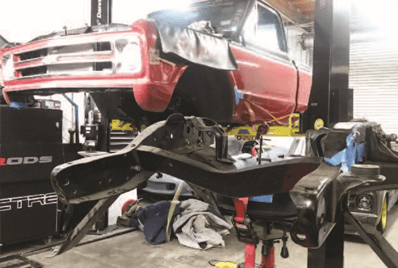 Mods like improved suspension and brakes don’t guarantee that your truck will handle like a go-kart from the start. Over time you’ll make modifications like adjusting your suspension, playing with brake bias or monitoring tire pressure. Any upgrades you make are better than stock—no matter how small—just remember it takes time to adjust them to your liking. Persistence means taking a lot of time. … and in the shop. Exercising persistence and building seat time means you’ll be spending a lot of time at local events. On any given weekend you can find autocross events all over the country that don’t cost much to attend. 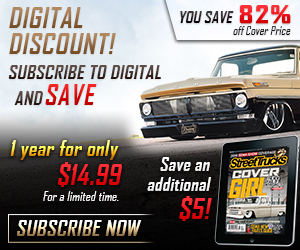 While you’re there you’ll also start meeting people, which is a great way to learn more about the sport and the upgrades you should start making to your truck. 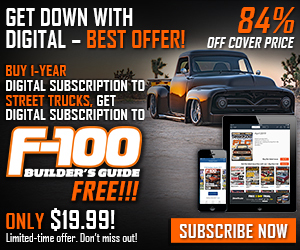 Expect to do a lot of tweaking on your truck, for optimal performance. Persistence will help you look beyond setbacks and tedious adjustments to the time when you eventually have your truck dialled in. 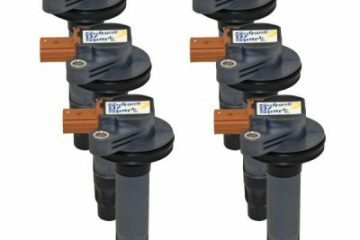 It can be discouraging when something doesn’t work properly or your truck isn’t handling quite right. But each adjustment tells you a little more about your truck, and the more you know the better equipped you will be on the track. So now you’re an amateur Autocrosser. Your truck is dialled in, you’re doing well and things are going smoothly. It’s time to ask yourself an important question, “What is my goal?” The majority of participants do it for fun, but investing a lot of money into your truck can also spark a need to win. It’s important to recognize the fourth element, making sure you have fun. “Walk around the pits and talk to drivers. When you look around the pits you’ll see groups everywhere chatting, sharing stories with other drivers and meeting new people. Though autocross is a form of racing it’s more than that: it’s about family and friends. 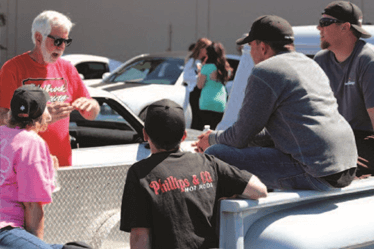 Many of the people you meet at an autocross event will become lifelong friends. These people will not only give you driving advice, they’ll also help you understand your truck, cheer you on and offer moral support. Get tips from the vets, right at the pits. Autocross didn’t get big just because people thought they could win. It grew because it’s fun. The sport is definitely competitive, but even those who are in it to win it will tell you that they keep coming back because of the people. If you’re interested in autocross, come out and watch an event. Walk around the pits and talk to drivers. It’s not uncommon for drivers to want to share their stories, invite you on a ride and get you hooked. Soon you’ll be behind the wheel of your truck building memories of your own. The more people you get to know while autocrossing, the more fun you’ll have. This is what it’s all about.